Kenneth Waltz, probably the most influential international relations theorist since the late 1950s, died on May 13, 2013. I did not know Waltz personally and I only saw him once, when he was given an award for his achievements at the International Studies Annual Convention in 2010 at New Orleans. As the tributes to his life and contributions pour in, I wanted to set down a few thoughts about how much his work has influenced the field as well as my own intellectual development and ideas. What I find most fascinating is how little Waltz has written when compared to the enormous impact he has had on the field. He has only three full-length books, spread over three decades and the last of these, Theory of International Politics, was written almost thirty-five years ago. Two of these books became classics and are still widely read, including Man, the State and War, the book that grew out of his PhD thesis. As Waltz started his doctoral work, he was more interested in political philosophy than international politics and was really forced into international politics by his advisor Professor William T.R. Fox at Columbia. But his PhD thesis brought these disciplines together, asking how political philosophers had looked at the question of war and categorizing their explanations. Man, the State and War is still essential reading for any IR student. In other words, scholars are still reading the PhD thesis that he wrote more than half a century back! And I expect they will continue reading it for a long time. But what is equally fascinating is the evolution of Waltz’s thinking because you can clearly see his progression between Man, the State and War and Theory of International Politics, which Waltz himself characterizes as a sequel in his Conversations with History interview. The first outlined why a systemic theory was necessary, the second outlined Waltz’s own view of how that systemic theory should look. Waltz has never revised or produced a second edition of Theory of International Politics. Clearly, it does not need any revision. In between, he wrote his second book (which is rarely read) but also some other important essays including his argument about the importance of polarity in international politics and specifically why bipolarity is more stabilizing that multipolarity. His insight in this early essay has significantly influenced how Realists have thought about the issue and has been central to many Realist arguments after the end of the Cold War. I have become more sceptical about his argument about the pacifying effects of bipolarity but only because I think that nuclear weapons played as important a role as polarity in preventing the Cold War from becoming a shooting war. Nevertheless, the impact of polarity on international politics cannot be ignored it remains an important subject for IR scholars, most of whom take his lead. My first introduction to Waltz was not through his masterpiece, Theory of International Politicspublished in 1979 but through his other path-breaking work, his Adelphi Paper The Spread of Nuclear Weapons: More May Be Better. No one doing international relations in India, in the early 1980s, could escape the nuclear debate. 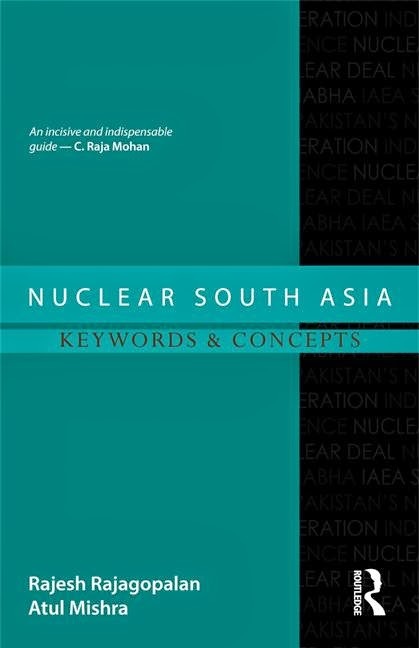 Waltz’s critique of Western conceptions of nuclear deterrence and non-proliferation in More May Be Better was very popular and often cited by K. Subrahmanyam. But though I read that essay closely Waltz’s larger contribution to IR theory completely escaped me. This was despite the fact that my other favourite IR work those days was Waltz’s student Barry Posen’sSources of Military Doctrine. The first time I read Theory, it was as if a window opened and suddenly the world of international politics became clear. 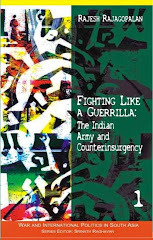 Until then, I had been sceptical and dismissive of IR theory, focusing instead on policy issues and military doctrine. On the other hand, I had always considered myself a Realist, though this did not make me a great fan of previous Realist works I had read. Waltz and Realism are not particularly popular in India or anywhere else outside American IR scholarship because they are seen, mistakenly, as handmaidens of American power and foreign policy. This is odd because Waltz’s critiques of American foreign policy on everything from Vietnam to the Iraq war to nuclear non-proliferation and American global hegemony is well known. But one part of the criticism is valid: Waltz’s theories are based on great power politics because he focuses on those actors he considers have the greatest and most consistent influences on global politics and stability. As an American and a citizen of a superpower, that is perfectly justified. But there is little in Waltzian theory that suggest that the essence of his approach cannot be applied to other aspects of international politics including regional politics and even understanding foreign policy (though he himself rejected applying his theory as a theory of foreign policy). Whether it is the concentration of power in South Asia or the imbalance of power in Asia, Waltz’s insights about polarity and power and its consequences are invaluable. Most importantly, what IR scholars need to learn from Waltz is that power, in particular relative power, matters but in both positive and negative ways. Waltz looked at power unsentimentally and was more often than not critical of the manner in which the pursuit of power corrupted and subverted policy. That put Waltz and Realists constantly at odds with nationalists (or as they are called now in the US context at least, ‘neocons’) for whom the pursuit of national power alone mattered. Of course, Waltz was not always right. After the end of bipolarity, Waltz mistakenly thought that unipolarity would fade quickly. I am increasingly unconvinced that balances will ‘recurrently form’ in international politics though I am equally convinced that states will strive for it. But you do not have to agree with everything that Waltz wrote in order to be Waltzian. And so I remain a Waltzian. 1. 1.Kenneth N. Waltz, “Foreword: Thoughts About Assaying Theories,” in Colin Elman and Mirium Fendius Elma (editors) Progress in International Relations Theory: Appraising the Field (Cambridge, Massachusetts: MIT Press, 2003), p. xii. Views on the Li visit . . . . Morning Reads . . . Morning Reads . . . .
Remembering Kenneth Waltz . . .